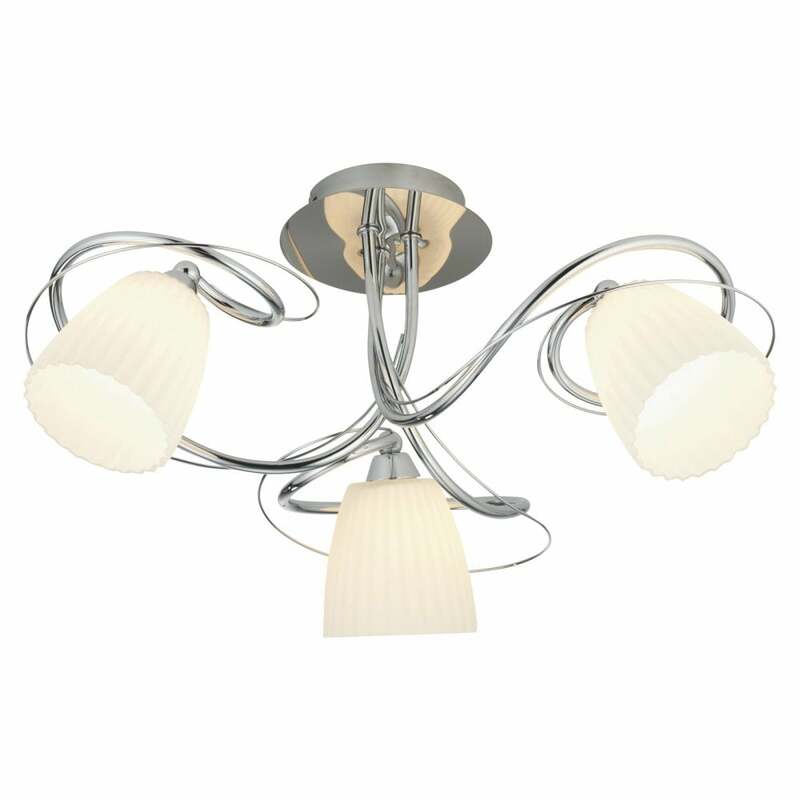 Oaks Lighting Leke 3 light semi flush ceiling fitting features a circular ceiling plate with 3 entwined swirling curved arms in polished chrome finish, each holding a ribbed white glass shade. The product code is 6259/3 CH. This charming design will sit well in traditional styled decors and the chrome finish combined with the white glass shades adds a classic Art Deco look. This fitting is especially suitable for rooms with low ceilings. Also available in antique brass finish and a matching table lamp, 5 light semi flush fitting and single light wall fitting which can be ordered from our website.